Weird opportunity has arisen for the frame. Iwould need forks, everything from my ht could come across whichwould cover me. Ah yes, but I'm well noobish in the world of FS. I think I need the warm cuddle of sketchy to guide me through. 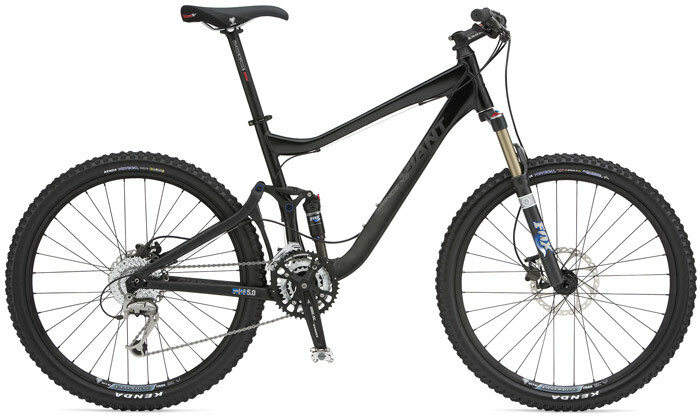 Considering the 06 frame was meant to be awesome then the 08 frame in black should be almost a sexual encounter in the biking department? Il have approx 150 left for a fork, but wouldn't mind new mechs and shitters though! Argh! &quot;BMJBOY&quot; Wrote: Ah yes, but I'm well noobish in the world of FS. I think I need the warm cuddle of sketchy to guide me through. Considering the 06 frame was meant to be awesome then the 08 frame in black should be almost a sexual encounter in the biking department? I believe the Trance X is 120mm travel? If so you could get away with running your current 100mm forks until you can get some 120's or 130's, but it will be a bit steep, so you'll want to get some new forks asap. The Meistro suspension system is one of the best designs around so you can't go wrong in that department, what the 08 has been marked down for in most of the reviews i have read is the geometry and the short top tube, which results in a cramped cockpit. Most reviews advise that you go up a frame size to avoid running stupidly long stems to get the correct riding position, so my advice would be to go to a Giant dealer and try a few different sizes out before committing. I am pretty sure the 06/07 frames had a longer top tube, but i am not certain on this. The steep head angle can be cured by fitting a longer fork, i believe you can run up to 140mm on the X without invalidating the warrantee. &quot;BMJBOY&quot; Wrote: Il have approx 150 left for a fork, but wouldn't mind new mechs and shitters though! Argh! I don't know a lot about the Trance X other than i think its longer travel htan the Trance. Not 100% though and i've never seen one let along ridden one! &quot;BMJBOY&quot; Wrote: Ah yes, but I'm well noobish in the world of FS. I think I need the warm cuddle of sketchy to guide me through. &quot;BMJBOY&quot; Wrote: Considering the 06 frame was meant to be awesome then the 08 frame in black should be almost a sexual encounter in the biking department? Agreed ;D.... Apart from the fella on the bottom right that seems to be cuddling the grimacing guy!!!! &quot;Treehugger&quot; Wrote: I believe the Trance X is 120mm travel? If so you could get away with running your current 100mm forks until you can get some 120's or 130's, but it will be a bit steep, so you'll want to get some new forks asap. The Meistro suspension system is one of the best designs around so you can't go wrong in that department, what the 08 has been marked down for in most of the reviews i have read is the geometry and the short top tube, which results in a cramped cockpit. Most reviews advise that you go up a frame size to avoid running stupidly long stems to get the correct riding position, so my advice would be to go to a Giant dealer and try a few different sizes out before committing. I am pretty sure the 06/07 frames had a longer top tube, but i am not certain on this. The steep head angle can be cured by fitting a longer fork, i believe you can run up to 140mm on the X without invalidating the warrantee. Its is 120mm travel yes, I think I will get new forks straight away (or nearly new bargain on Ebay) - My current ones would be an insult to my possibly new steed! The 08's had great reviews from what Ive found(?) - Most dropped points due to the lower BB - but otherwise, glowing reports. Im trying to sort it, whereby I dont butcher my XTC to get a frame only up and running - Would be good to have a HT backup bike. I will look at the geometry from the past few seasons of Trances - however, I was in 2 minds over the SMALL which cropped up a few weeks ago, the one Im looking at is MED, and if it comes up a little small, then I should be OK.